Los Angeles: "The world is waiting to know more about Guru Nanak and it is about time that we as a community spread awareness about him and his message", said, Dr. Surinder K. Dargan, one of the main organizers of the National Sikh Campaign's gala dinner event to support a documentary on the founder of Sikhism in her opening and welcoming remarks. Over 300 members of the Sikh community from all over Los Angeles had gathered at Cerritos Sheraton to raise funds to support a documentary on Guru Nanak. 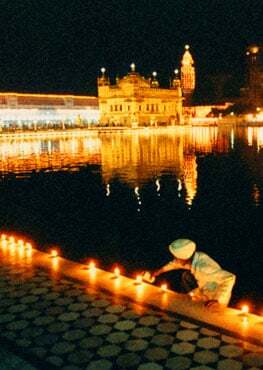 Sikh community worldwide will be celebrating the 550th birth-anniversary of Guru Nanak in 2019. National Sikh Campaign is working with Auteur Productions to produce an hour long film focused on Guru Nanak's life and his message to be released next year. This inspirational event had speeches interspersed with musical presentations and an entertainment. Raginder "Violinder" opened the evening with a soothing violin rendition of Raag Dhanasari and Sorath, popular musical melodies in the Indian classical music. Both of these raags have been used by Guru Nanak while composing hymns which is part of the Sikh scriptures, Guru Granth Sahib. "Even though we all have done well as individuals and as a community, there is still much ignorance about our faith and especially about the founder of our religion. This is about time that we fulfill this task by taking much needed steps. 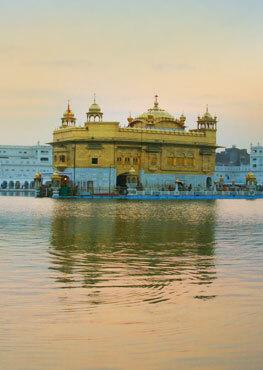 We are lucky that Guru Nanak's 550th anniversary will be celebrated in our life times." said, Surinder Dargan. She along with a group of Sikh activist in the Southern California put together this event to support NSC's initiative. Dr. Rajwant Singh, Co-founder of National Sikh Campaign and its Senior Advisor, while speaking at the event, said, "This is perhaps the first time that these many Sikhs have gathered for the single purpose of creating awareness about Guru Nanak and this is the best way to celebrate his 550th birthday. Dr. Singh gave a slide show giving an overview of the documentary and its overall scope. Sarabjit Singh, an active member of the community, said, “This is the first of its own kind endeavor to introduce Guru Nanak and his message on the world stage and I congratulate NSC for fulfilling this gap and creating an important teaching tool for the entire community." Deepinder Singh, Co-organizer of the event, said, "By making a well-produced documentary to spread awareness, we are laying a foundation for our future generations. Thanks to all the gurdwaras of Southern California and individuals who have come support this cause and have shown their commitment." Aman Batra, a poet from Artesia, CA, spoke and presented poems related the theme of woman empowerment. She said, "It is important for me to speak today as we see so much of Guru Nanak's legacy is for women and is advocacy for women." A graduate from UCLA, she has built her career in written and performance poetry and is now a teaching artist in Los Angeles and Long Beach county and her work has been featured on Vibe and The Huffington Post. JJ Kapur, a Stanford University freshman, who was named the 2017 National Champion in Original Oratory, spoke at the event as a keynote speaker . He said, "Guru Nanak was a revolutionary and we have reached a point where our divisions have become so strong and now more than ever, we must learn about Guru Nanak Dev ji and the world must know his message of unity. He added, "There is no better medium to accomplish this unprecedented goal of filming of a documentary on his life." Sumita Batra, Ritu Chugh, Kirtan Singh, and Dr. Ravneet Kaur had taken turns to introduce various presenters throughout the evening and program was well-choreographed and organized to keep the attention of the audience. Dinner was by Guru Palace and DJ Jas kept the everyone entertained. Raginder had guests join in celebrations with his fast Punjabi numbers at the end of event. After an appeal was made for donations, guests opened their hearts and wallets. A group of young Sikh professionals were at hand to accept online donations and many wrote checks to support NSC's endeavor. NSC is planning to eventually provide this documentary to various universities all across United States with an accompanying study guide for students. Connecticut Public TV Station will be coordinating this effort along with the film company and it will be shown on over 200 TV stations. NSC has run a successful TV ad campaign ‘We Are Sikhs’ in 2017 and had hired Obama’s media team, Bush’s marketing team and Clinton’s strategy team to create awareness about Sikhs and Sikh identity in America. The campaign was awarded an award by PR Week for its effectiveness of the message. NSC is also planning another phase of this ongoing campaign in the coming year.